The primary objective of any entrepreneur is to grow their business by reaching out to the maximum number of customers possible. While the process of expanding your business may be tedious, it is important for its overall growth. One of the easiest ways in which both B2B and B2C companies can grow and promote their brand is by participating in trade shows. Trade shows began as a tradition in medieval Europe with the sole purpose of creating a market for trade merchants. Traders and artisans would showcase and sell their products at these events. As industrialization hit the globe, the practice started to spread. Today, these events serve as the best platform for companies to interact with investors, business partners and clients. These days, companies decide to participate in trade shows for a number of reasons. Some attend when they want to launch a new product, others participate to gain more market visibility or simply to gather more leads. 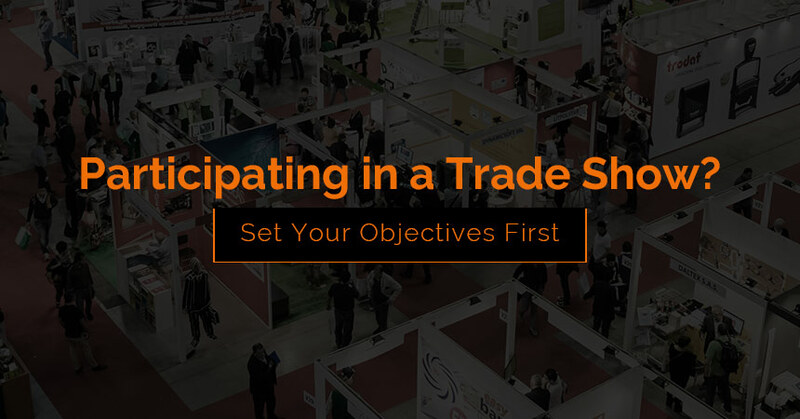 If you’re looking to attend a trade show in the near future, then it’s important that you set your objectives first. Your trade show goals will dictate everything from your budget to your booth design and which event to attend, so it’s imperative that you learn how to set your objectives before you start preparing for the show. Is the booth visually appealing and will it draw in the crowds I want? Will I be providing live demonstrations of the new product? Have I clearly outlined the benefits and advantages of this product over its competition in the market? Will guests be provided with free samples of the product? Do I require any special equipment to ensure that the product launch goes off without a hitch? For many companies, the entire point of exhibiting at a trade show is to capture the maximum number of leads. These leads can turn into lasting relationships that could end up benefiting your brand for years to come. Is there anything that is drawing attendees to the booth? Are my graphics captivating enough to keep people interested? Can I use technology as a hook to get people to step into the booth and engage with staff? Did I invite enough people and provide them with a map of the event so they can find my booth easily on a crowded show floor? In crowded and cluttered markets it has become increasingly difficult for newcomers to establish their brand as a force to be reckoned with. Trade shows provide companies with the unique opportunity to get their company the kind of visibility it requires in an overcrowded market. Is my brand represented correctly and consistently across all my marketing platforms? What can I do to create a memorable brand experience for visitors at the event? What can I do to ensure that my booth stands out from the others on the show floor? Establishing your brand in a new market can be quite a task, but it isn’t impossible. How am I different from the competition and how do I highlight this? Does my exhibit clearly explain my offerings and what I do? How do I highlight why attendees should choose me over the competition? Many brands often forget how important it is to make their existing client base feel important and valued. At trade shows, companies can connect with their customers and let them know that they’re willing to do what is required to retain them. What can I offer my existing customers when they stop by the booth during the show? Do I have a loyalty program that entices them to stick with my brand in the long run? What can I do to help nurture my relationship with them at the show? The future of your business depends largely on your ability to forge new relationships with business partners and then maintain them over time. At trade shows, you will have access to a plethora of companies who work in a similar space as you and could help you attain greater heights in the industry. What kind of businesses am I looking to partner with and how do I invite them to the booth? Will decision makers from my company be available to sign deals on the spot? Is there a safe space where negotiations can be carried out privately? These are just a few ideas of what the most common trade show objectives are. 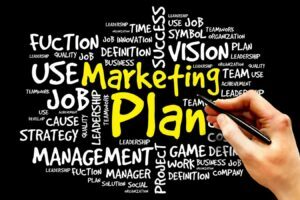 Depending on your marketing plan, you may want to attend the trade show with other goals in mind. To understand whether or not your trade show appearance has been successful, you must find a way to measure your goals. Instead of setting basic targets such as ‘increase client base’, set yourself a goal like ‘convert 5 potential leads into clients’. A measurable goal will help you quantify your success at an event. Unrealistic goals are one of the biggest issues that companies face on the circuit. If this is your first trade show, your goal should be to break even or go back with a nominal profit margin. If it’s your 4th or 5th, perhaps your goal could be to earn 20% interest on your investment. If you go to your first exhibit expecting to double your investment in a single day, you’re setting yourself up for failure. Always ensure that your goals are realistic. The goals that you set for your company should be relevant to your current position in the market. If you’re a new company hoping to establish a name for yourself, setting a goal of completely 150 sales during the event is irrelevant. Instead, think about setting lead generation goals, which will help you gain the attention and visibility you need in the market. Once you have set yourself SMART goals, you will be able to make important decisions regarding the look and feel of your booth. If you’re launching a new product, you’ll have to account for the kind of space you will need to do a live demo. On the other hand, if your goal is to sign lucrative deals, your booth will have to accommodate a private meeting room where you and your client can look over the details of your arrangement. Remember, your trade shows goals will be the guiding light that will help you create a spectacular booth that earns the attention of all the attendees. Of course, great goals won’t accomplish themselves. You will need to come up with a stellar plan to execute your booth to perfection. Once the show is over, it’s vital that you take stock of everything that happened and see if you were able to accomplish all the goals and targets that you set for yourself. If you did, great job! At the next event, try to raise the bar and do something new. If you didn’t, don’t worry. Look back on where you might have made a mistake and see if you can rectify it at your next trade show. Always try and set yourself new goals for every event and use different strategies to achieve them. This will enable you to gain a deeper understanding of what works best for you and your brand on the trade show circuit.